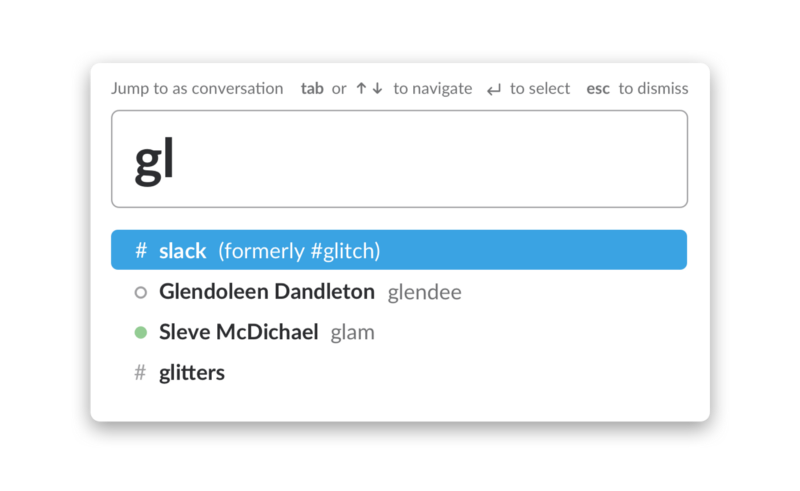 In Case You Missed It is back with another roundup of recently released features in Slack. Let’s get you all caught up on these small-yet-mighty updates. Sometimes, you want to rename a channel to better reflect how it’s being used — that’s fair. Now, it won’t go missing when you need to find it. Whether you’re searching via the Quick Switcher or referencing channels as you type, renamed channels now show up, even if you accidentally search by the old name. Certain searches in Slack now reveal your top three results based on the people, topics, and files you work with the most. First checking your top results can make short work of your search, sort of like skimming a paper’s front page to get key information, before spending the time to browse through page by page. Giphy is one of our most popular integrations for Slack, but using it can be like a box of chocolates — you never know what you’re going to get! Now, with Giphy previews on, you can preview your GIFs and make sure they are as apropos as you need (or want) them to be before they’re posted in channel. If you like to hop between conversations, you’ll know it’s easy to lose track of messages you’ve started, but haven’t yet sent. Now, you’ll see a handy pencil icon appear next to the channel or DM list to indicate where you have a partially written message, so you can easily come back to it later. Tucked neatly in the right sidebar of your Slack mobile app is an activity feed that now shows all of your mentions and reactions. Whether you’re traveling for work or just in between meetings, checking your activity is a helpful way to track messages directed to you — as well as any reacjis to your recent message — while you’re away from your desk. Small improvements like these often come directly from the feedback we get from our customers. Share yours by dropping us a note or tweeting us at @Slackhq.